This blog aims to put light on facts about Rambutan’s, that are undoubtedly a wonderful Thai fruit. Due to its limited growth & uncanny appearance, people in many countries and regions don’t even consider it as edible. Read on for real facts about this great and unusual fruit…. It’s creepy, ugly, and hideous with its repulsive appearance, but real fruit lovers are more aware of its juicy taste. Yes, we are talking about the fruit that looks like a sea creature. The Thai Fruit that grows on a medium-sized tropical tree in the family of Sapindaceae. Rambutan trees naturally grow throughout southern Asia and are supposed to be native to Indonesia and Malaysia. It is a hairy red fruit that seems more like something out of a folk tale than anything grown in real life. Check out some interesting facts about Rambutan that you always wanted to know. Take the hairy and fully grown piece of Rambutan and peel its furry skin off. You can either part it with a knife or your hands. Once you have unwrapped it, you’ll find the edible part that resembles a peeled grape. 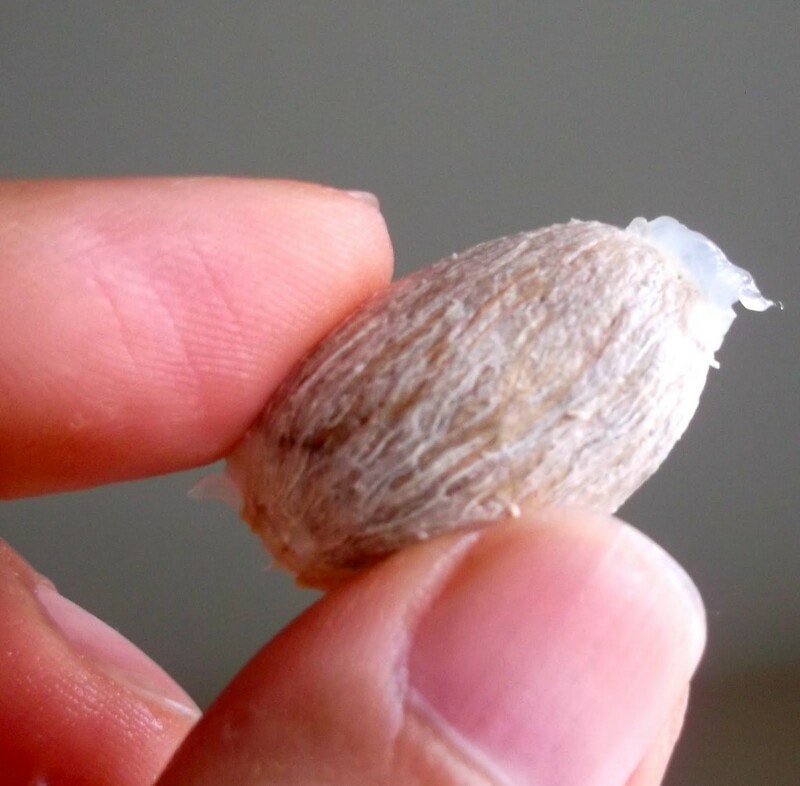 While peeling it off the seed, make sure you don’t cut through it. You can eat everything around the seed. The seed usually tastes bitter and is unedible even if it is sweet. What does Rambutan taste like? The leathery skin of Rambutan is reddish, rarely yellow or orange & is totally covered with flexible spines. 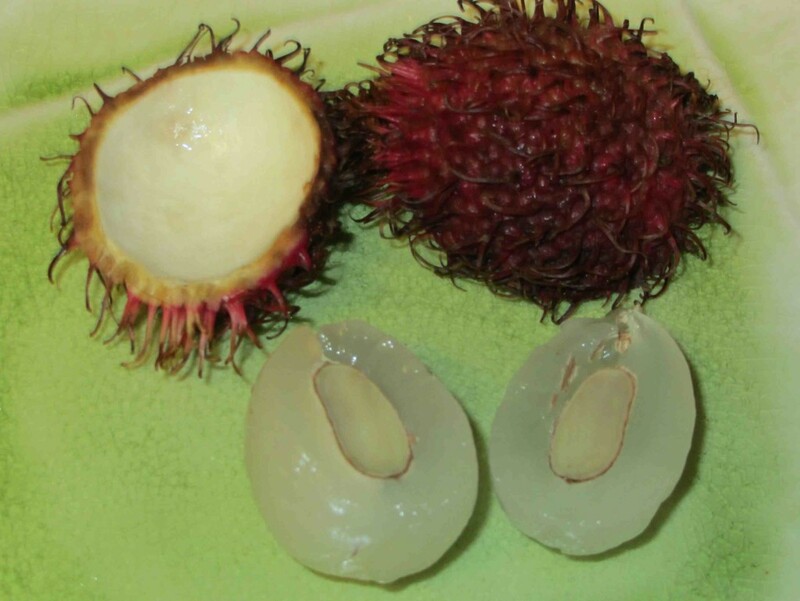 It somewhat tastes like a lychee that is sweet and juicy with a milky white, translucent color along with a grape-like & glutinous surface surrounding the internal seed with an almond-like taste. It’s mildly chewy and sweet. It’s not just scrumptious in taste, but it also contains a variety of nutrition values. Rambutan contains vitamin C and Calcium along with a high amount of niacin, protein, fiber and iron. 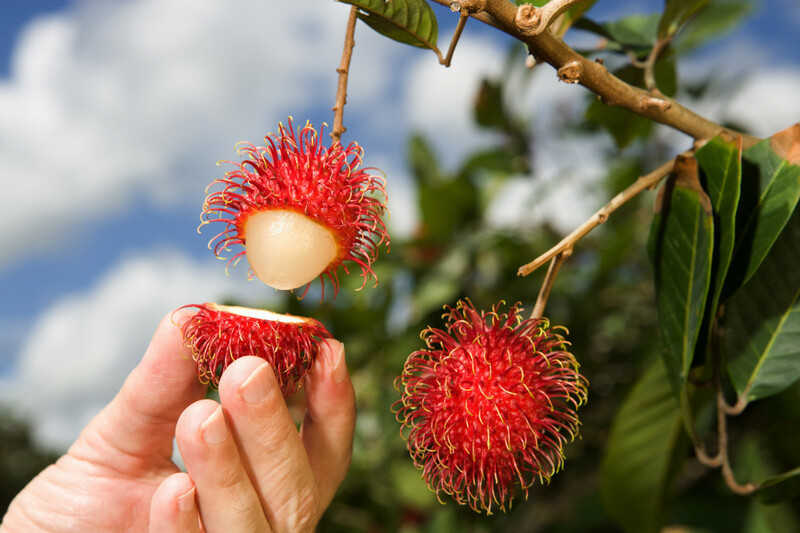 A 100-gram (3.5 oz) of fresh Rambutan pulp serves about 40 milligrams of vitamin C, which is similar to 66% of the daily value (DV) required for vitamins. Initially, when the fruit is raw it appears green in color and should not be eaten. 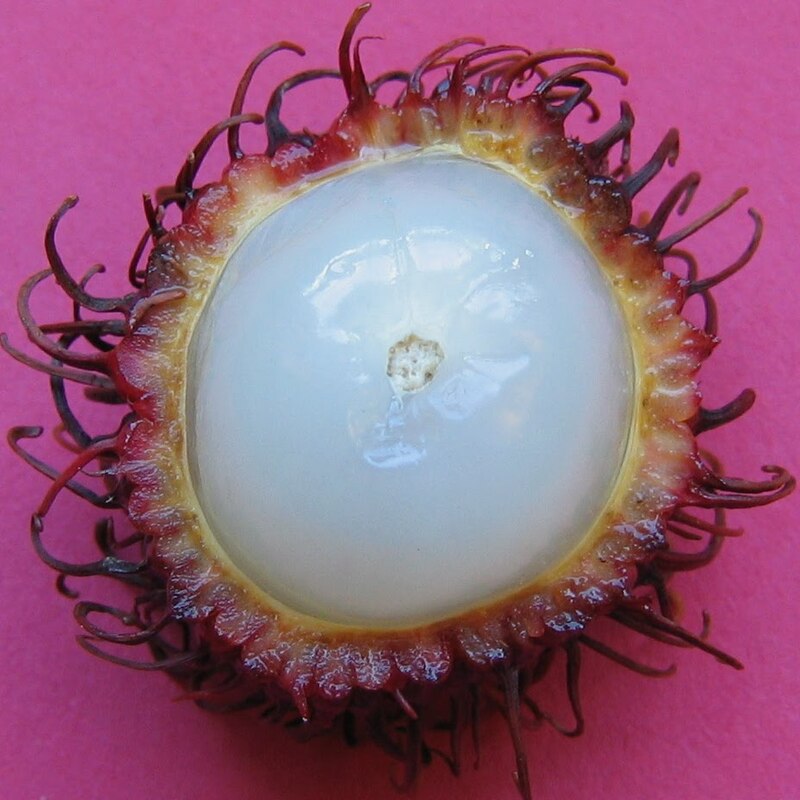 A ripe Rambutan is always red in color and its hair turns dark when ready to be eaten. What is its major season and availability? Rambutan trees fruit only twice in a year and the cultivation process starts in late June and August and then again in December and January. Hawaiin crops are supplied to the North American markets. What are the health benefits & medical uses? Adding Rambutan to your regular diet chart for five days a week will help prevent cancer & also lowers blood pressure. The seeds are also useful even though they are not edible, oil extracted from the seeds are used to manufacture candles and soaps. Rambutan tree roots are boiled and used as medication to cure fever. The fruit is also said to heal dysentery and diarrhea effectively.